Human rights groups have called on the government of Australia to stop its cooperation with Densus 88, an Indonesia anti-terrorism unit. Densus 88 has been responsible for several attacks on human rights activists in West Papua. The Australian government funds and trains Detachment (‘Densus’) 88, an Indonesian anti terrorism unit which has been used to attack peaceful West Papuans who advocate for self determination. It has been trained in forensics, intelligence gathering, surveillance and law enforcement by the UK, Australia and the US. However, there are serious concerns about reports that Densus 88 is being deployed to tackle other issues, such as alleged separatism in Papua. The Human Rights Law Centre’s Director of Communication, Tom Clarke, said Australia’s support of Indonesia’s counter-terrorism unit, Detachment 88, was in desperate need of review. “Australia has an extremely dubious record when it comes to Papua – successive governments have turned a blind eye to the human rights abuses occurring on our doorstep. “But if we want to avoid the mistakes of the past, we need to have a serious discussion about what type of human rights safeguards could be introduced to ensure we don’t have blood on our hands if atrocities continue,” Clarke added. 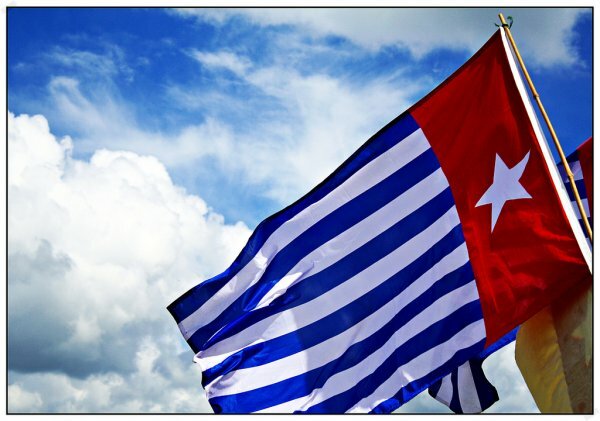 Witnesses in Papua believe that Densus 88 murdered Papuan leader Mako Tabuni. He was shot by plain clothed security officers in Jayapura. Tabuni was a respected Papuan leader from the KNPB a non-violent organisation calling for a referendum on Papua’s political future. In 2009 Densus 88 was involved in the killing of Kelly Kwalik, a leader of Papua’s resistance movement who had denounced violence. Members of the formidable Detachment 88 anti terrorism unit. In August 2011, Densus 88 took part in investigations into murders in Nafri, Jayapura. The investigations involved arbitrary detention, maltreatment and the torture of 15 people. In March 2012, National Police spokesman Insp. Gen. Saud Usman Nasution confirmed that Densus 88 officers were in Papua to help the local police fight armed militias. In July 2012, leading Indonesian human rights NGO, KontraS, published research on the conduct of Densus 88, based on monitoring of operations in Aceh, Maluku, Java and Central Sulawesi from 2006–2012. The report states that during this period, Densus 88 operations commonly involved arbitrary arrest and detention, torture and other degrading treatment, physical abuse, and injury causing death. In addition to Mr Clarke’s comments regarding Australia’s relations with Indonesia, he used the occasion of the 51st anniversary since the UN handed temporary control of West Papua to Indonesia to make a clear statement on the illegitimacy of the so called Act of Free Choice. “There’s a reason many Papuans refer to the Act of Free Choice as the ‘Act of No Choice’ – it was an incredibly flawed process. “Under severe duress, including threats of violence from senior ranking military officials, 1025 hand-picked Papuans were forced to vote on behalf of a population of one million. “This anniversary is another reminder of the various injustices that continue to this day in Papua,” Clarke said.